In the spirit of celebrating Agatha Christie’s 125th birthday anniversary, it was proposed recently that some members of our Golden Age of Detection Facebook group should undertake “The Tuesday Club Murders”, which has transmogrified into the Tuesday Night Bloggers. Simply put, we’re going to publish a Christie piece every Tuesday in October. You’ll find a list of participants and associated links on Curtis’s blog. We’ve recently decided to continue with a different Golden Age mystery writer every month; November will be devoted to Ellery Queen. Someone’s very nice collection of Fontana Christie titles that I scooped from the internet. A book scout is an intermediary for books; she buys books at yard sales and charity shops inexpensively and then hopes to recoup her investment, at the very least, by selling the book to a book dealer or used book store. If you know your business well, you can buy inexpensive books “on spec” because you know someone will always want that particular book, sooner or later. But if you’re just starting out, or even want to start out but don’t know how, here’s what you do. Go to the bookstore that you yourself shop at most often; perhaps you’re already well-known to the proprietor. Ask if you can book-scout the bookstore’s “want list”– come prepared to make a list of books that the bookstore already has had requested by other customers. “But,” you are saying already, “that’s why we have eBay and Amazon and the like, right?” It’s true, books are more available than they used to be. But the economics of the situation are such that unusual/rare books frequently have a commensurate price over the internet, and when you add in the bookseller’s mark-up (booksellers have to eat!) sometimes their customer will be looking at a $30 bill for a book that the customer probably thinks is expensive at $10. End result, no sale. So if the book scout can bring in that particular book at $5 — perfect. It never hurts to try. If you’re lucky enough to live in a city that has a murder mystery bookstore, they frequently have a want list of mysteries you’ll never see in your lifetime; booksellers write these names down to be polite to the customer, mentally commenting, “Yeah, if anyone comes up with a copy of Obelists at Sea by C. Daly King, it’s going into MY collection!” Nevertheless, Obelists at Sea is going to be on the want list; if you find a Penguin paperback, it’s worth $25 to $50, except you won’t find one. 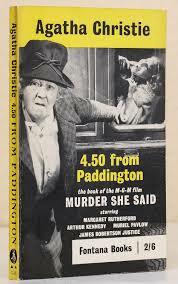 But if you want to be a book scout in the real world and keep your mystery dealer happy, you can profitably focus on low-level bread-and-butter titles by, for instance, Agatha Christie. When I was behind the coun ter of a mystery bookstore, the purple unicorn of Agatha Christie paperbacks used to be a short-story volume called The Listerdale Mystery, especially with the Tom Adams cover featuring the banana morphing into a handgun. I used to get $20 for that at a time when a new paperback was about $7. 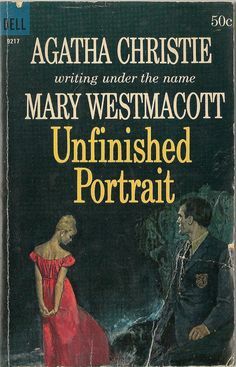 For some reason, although there were a couple of British paperback editions, not many copies of that title seem to have made it to the west coast of Canada; I constantly had a list of perhaps ten people who needed any copy in any edition to complete some kind of collection. I know Listerdale is back in print, but most used bookstores will have one or two titles that they need to serve their customers’ needs; the trouble is, all bookstores have a different list. A suburban bookstore may be looking for a specific romance novelist; a bookstore near a university may be looking for a cyberpunk classic; and one near a residence of the elderly may be looking for specific classic westerns. It’s all in the clientele. But mystery sellers always need a couple of unusual Agatha Christie titles if you can find them inexpensively (and, I can’t emphasize enough, in good condition; a book with loose pages is worthless). Talking to local booksellers is best, but here are a couple of principles that will let you buy Agatha Christie titles on spec … these are more likely to pay off than others. Perfect, unopened, mint copies of any edition of any Agatha Christie title are worth buying and holding for the future, as long as you pack them away carefully. Anything unusual with Christie’s name on it. If it makes you think to yourself, “Oh, that’s out of the ordinary,” that’s what you’re looking for. This includes her Westmacott romances, biographies, plays, collective novels with other members of the Detection Club, and books about Agatha Christie and her works. Weird stuff like Agatha Christie cookbooks … someone’s always going to want that. 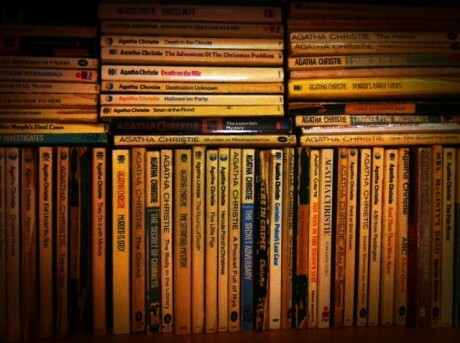 Editions of any Christie paperback that predate about 1970. 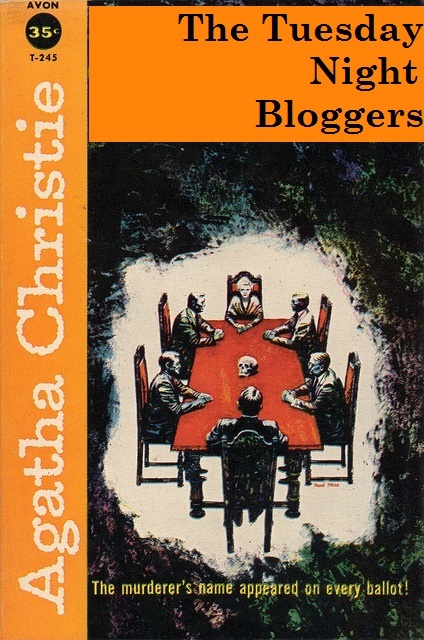 Agatha Christie titles from Fontana with the Tom Adams cover art. Agatha Christie titles that are movie tie-ins or TV tie-ins; anything with a picture of David Suchet or one of the TV Marples on it. Anything with 16 pages of “pictures from the film” bound into the centre. Compendium volumes of Agatha Christie titles; especially ones which bind together three or more novels in hardcover format with a dust jacket. These might have a value all out of proportion to what you’d think, because some of them are first editions “as such”. Collections of short stories with variant titles. Publishers of Agatha Christie have a long and unfortunate history of repackaging collections of Christie short stories with a different table of contents and selling it with a different name. No one is really fooled by this, and it really annoys completists who have to have every title. 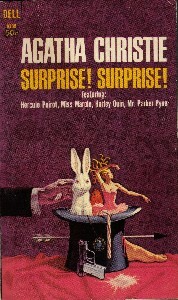 But there’s always a collector who needs a copy of Surprise! Surprise!. Audio books. I understand that some voices are esteemed while others are not, but you’ll have to ask your bookseller for more information. And finally — pretty much anything I’ve shown you in my previous Christie paperback related posts this month. If it’s old and weird or funky and strange — if it sets off your spidey sense — go for it. This entry was posted in Detective fiction, Genre fiction, Golden Age of Detective Fiction, Mystery, Novel, Tuesday Night Bloggers and tagged Agatha Christie, C. Daly King, David Suchet, Ellery Queen, Margaret Rutherford, Tom Adams. Absolutely fascinating Noah, and full of surprises. I’d have thought the oddities and weird collections and compendiums would NOT be needed, shows my naivete, I’d assume it was the simple vanilla ones that were valuable. And, I had that very edition of Listerdale right next to me – I guess it’s much more common in the UK. I had it out to check a reference in the story Mr Eastwood’s Adventure for a recent piece on book titles. People are always surprised at the price for the hardcover compendiums … because they are “first editions as such”. That is, if you’re the first publisher to think of bundling three random titles together in a way that’s never been done before, you have a “first edition”. Strange, but attractive to collectors. I imagine the Fontana editions like that weird-looking Listerdale Mystery were much more prevalent in England than British Columbia … but I imagine that Collins White Circle Canada and Harlequin editions are easier to find. The book market is now intensively global and thoroughly localized at the same time. The best guide is what’s wanted by your local bookseller! This is a very fun post, Noah. I wish I had the money to collect like that. 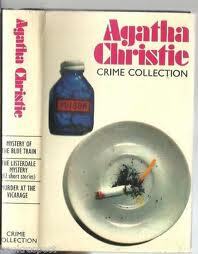 The one I would be most interested in would be: Agatha Christie titles from Fontana with the Tom Adams cover art. Although there are other paperback covers I like too. If you start hanging out at charity book sales and used book stores, I think you’ll be astonished at how cheaply you can put together a cohesive set of, say, Tom Adams covers. Good luck! I will admit I find one or two Tom Adams book covers every time I go to my annual book sale. But there are no used bookstores in Santa Barbara (or Ventura) that have nice paperback editions of any vintage mysteries. Even in the multitudes of book stores in the bay area, we have never found vintage paperbacks. KAYO Books, 814 Post Street in San Francisco is a good resource. You actually have a good dealer in Santa Barbara, James Madison Bookseller, but I don’t think he has a retail presence. The Mecca for paperback collectors in North America is Black Ace Books in Los Angeles — by appointment only. blackace.net will tell you how. Terrific post, Noah. I just soak up every bit of know-how about collectible books that you offer up.